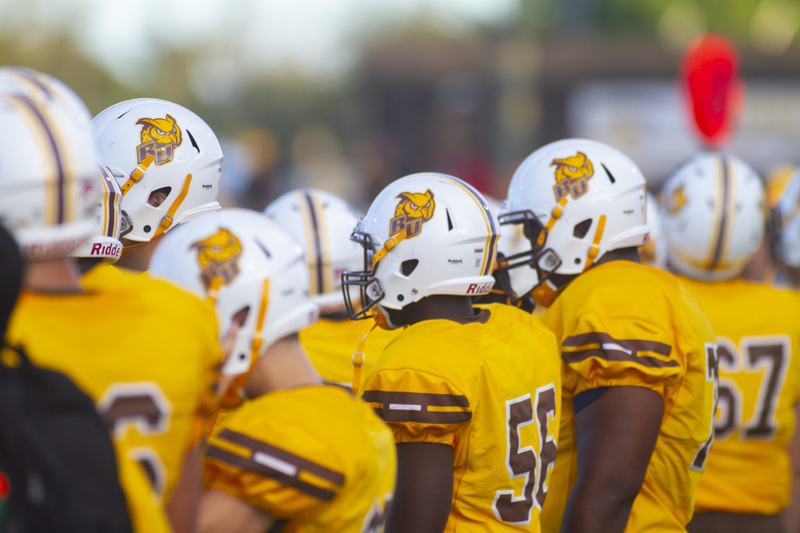 Despite a home atmosphere and an early lead, the Rowan football team suffered a 39-6 against Christopher Newport for their second consecutive loss. 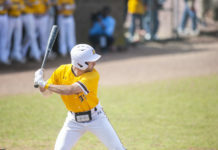 The Profs are now 3-2 this season. The brown and gold took an early 6-0 lead when Elijah Rehm took a punt, 66 yards to the house. Rehm racked up 142 all-purpose yards, had a touchdown and averaged 12.9 yards/play. After a Rowan missed PAT, a captains’ seven-yard passing score and a pick-six off of Rowan quarterback Riley Giles, Christopher Newport took a 13-6 halftime lead. Even though he completed over 70 percent of his passes, Giles threw a lot of short passes that proved to be ineffective in the long run. Especially as of late, Rowan has run a lot of pass plays in the flat and sprinkling in some screen passes. Backup Nick Couzzi, who also played a bit in last week’s game as well, relieved Giles in the fourth quarter. 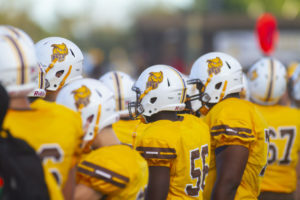 Rowan head coach Jay Accorsi attributed the quarterback change to giving Giles rest, as opposed to having a quarterback controversy. “We got Nick in there a little bit, to get him into action and get him some reps,” Accorsi said. Although Giles wasn’t benched for performance reasons, his interception return for a touchdown was a key factor in the decision of the game. Despite the team’s defeat, Accorsi appreciated his team’s effort nonetheless and likened that to a positive to take away from the loss. Rowan’s season-long inability to be successful on third-down attempts caught them up again in Saturday’s game. On the night, the unit converted zero of their nine attempts and rank seventh in the New Jersey Athletic Conference (NJAC) this season in third-down conversion rate. Three Jack Anderson touchdown passes gave Christopher Newport a 19-spot in the third quarter, giving them a 32-6 lead going into the fourth. On the night, Anderson threw five touchdowns to five different receivers and was subsequently named the NJAC Week 5 Offensive Player of the Week. He went 24/37 and threw for 313 yards. It was the first time since October 14th of last year that an opposing quarterback threw for at least 300 yards versus Rowan. The ground game has been one of their strengths so far this season, however Christopher Newport was more than able to stifle the Profs’ balanced attack. John Mannion, who has been one of the most consistent backs in the conference this year and arguably Rowan’s best, was limited to just 2.4 yards a carry on only five attempts. Christopher Newport had 138 total yards to Rowan’s 11 on the ground. Beneficially, the 39-6 loss comes with Rowan’s bye week coming up. 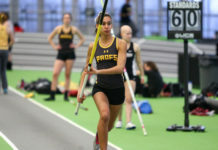 The Profs’ next game is October 13 at The College of New Jersey (TCNJ). The Lions are winless so far.